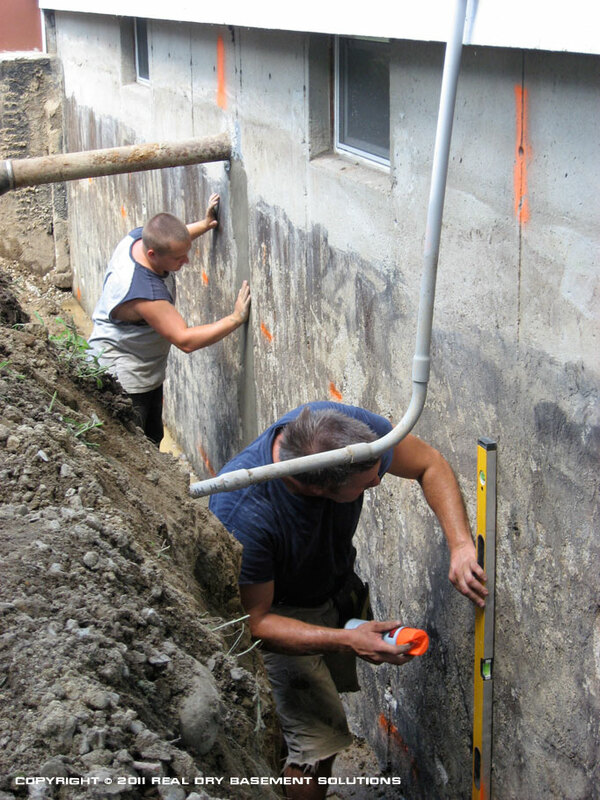 that affect a typical American house with a basement or crawl space. This approach to repairing cracks and relieving external pressure is one of the simpler methods available, and we illustrate it here to let you know that we've made a reputation for ourselves by always recommending the least-invasive solution that will nevertheless end up solving your particular problem – completely and effectively. 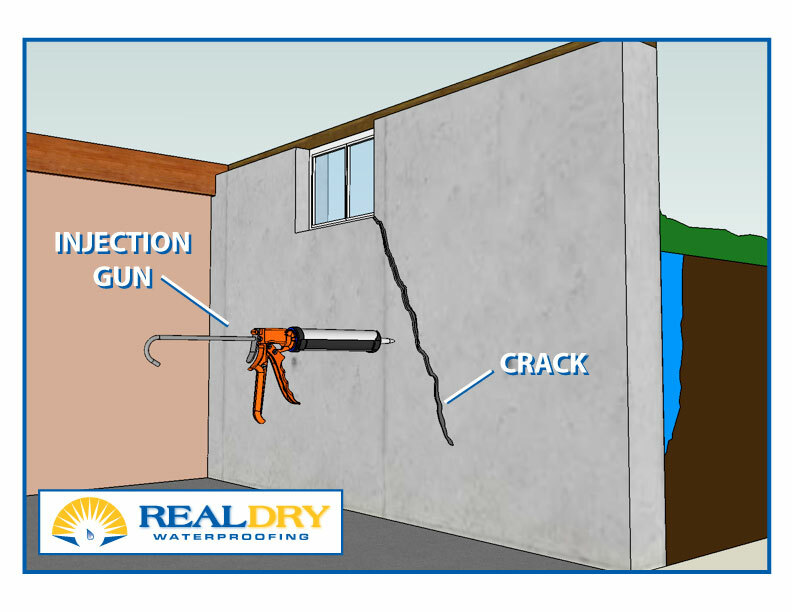 In other words, if our inspection determines that you really don't need some high-tech, exceedingly expensive, disruptive solution to solve your problem, then Real Dry won't recommend it. 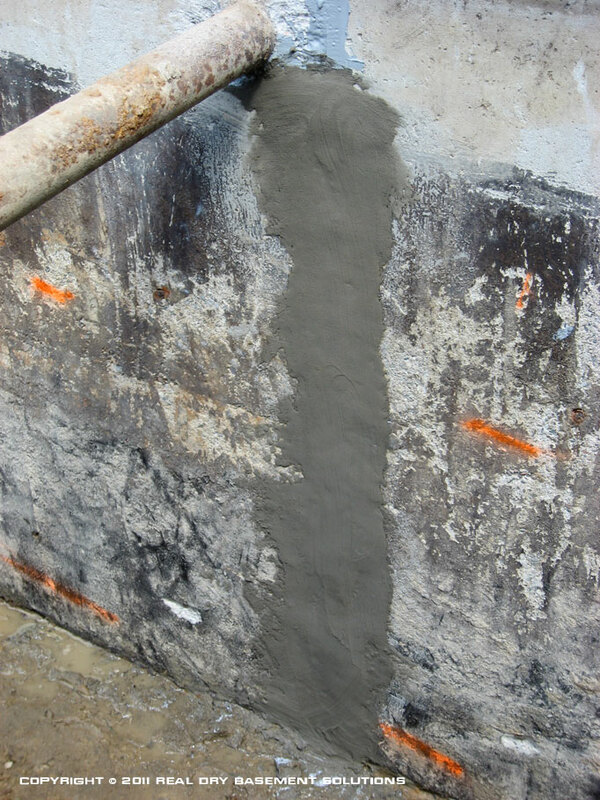 After all, sometimes the simple, time-tested solutions turn out to be the best ones. 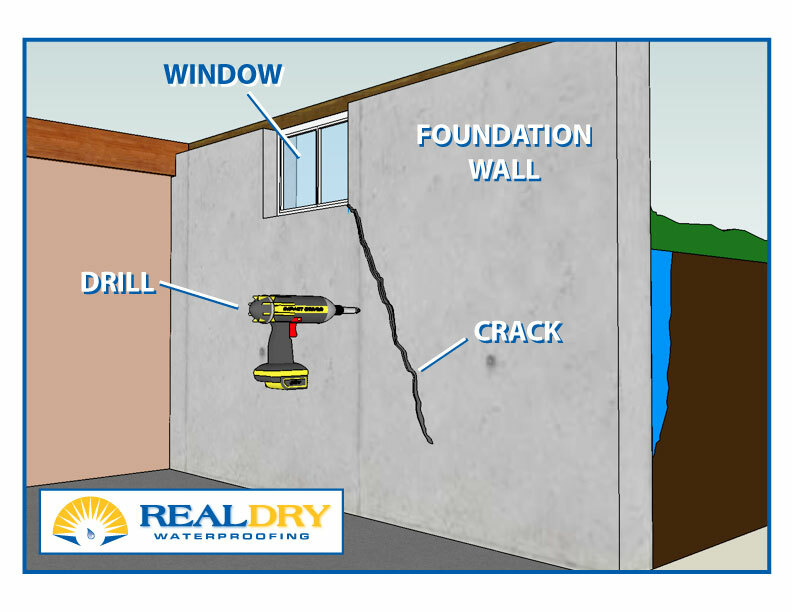 Real Dry has almost FOUR DECADES of experience in dealing with residential foundation and structural problems – especially cracking basement walls. 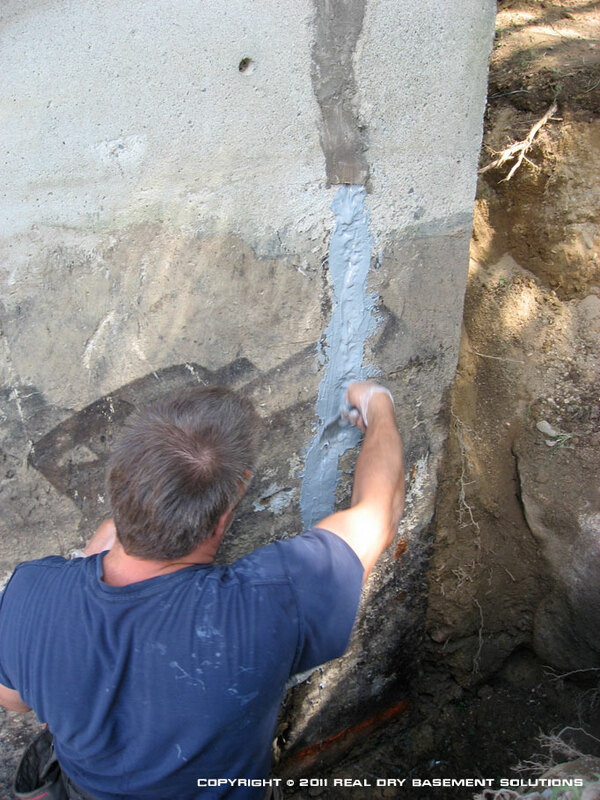 We've already done the difficult work of identifying the most reliable products and most effective methods to fix and repair almost any type of foundation problem. 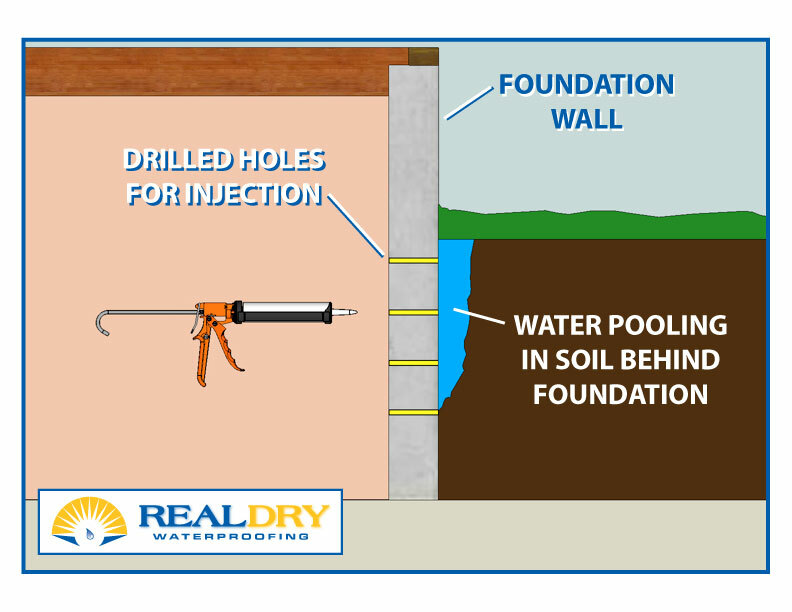 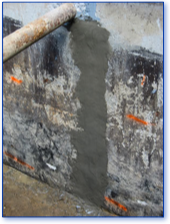 Real Dry Waterproofing provides foundation repair solutions throughout Massachusetts, western Mass., Boston, the South Shore, Cape Cod, northern Connecticut, southern New Hampshire and Rhode Island. 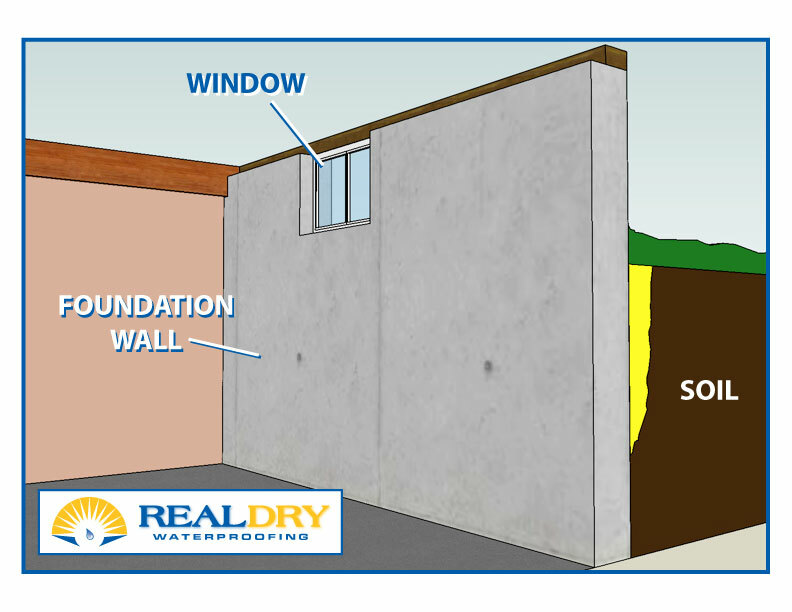 Call us today at 1-855-379-8632 to set up a free visit by one of the two, actual Real Dry owners. 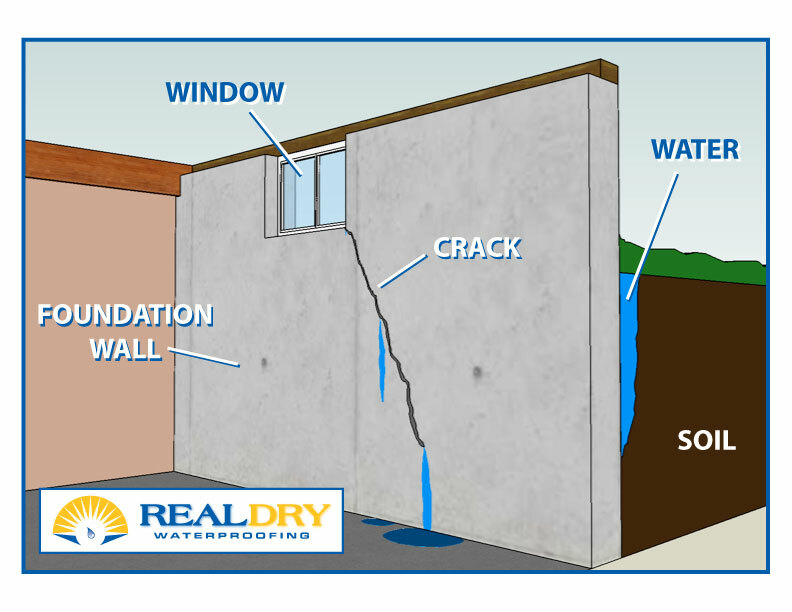 They'll be happy to come to your door and discuss with you the best approach to solving the structural problems affecting your most important investment: Your home. 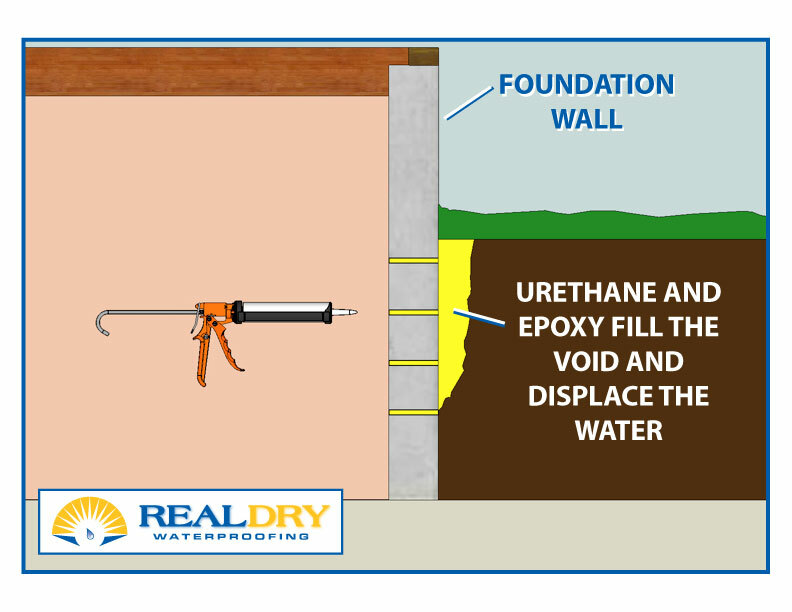 Click on any image to view a larger version – or click the first image to view them all in sequence. 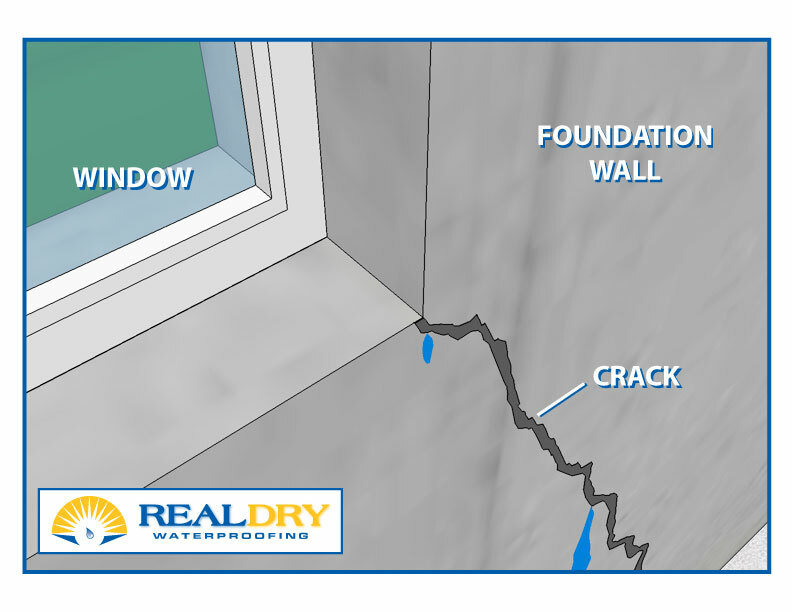 Call us at 1-855-DRY-TODAY to set up a FREE consultation with one of the two actual owners of REAL DRY. 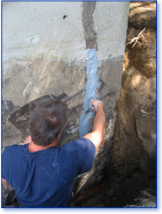 Real Dry Waterproofing fixes foundation cracking problems throughout MA, northern CT & RI, and southern NH.